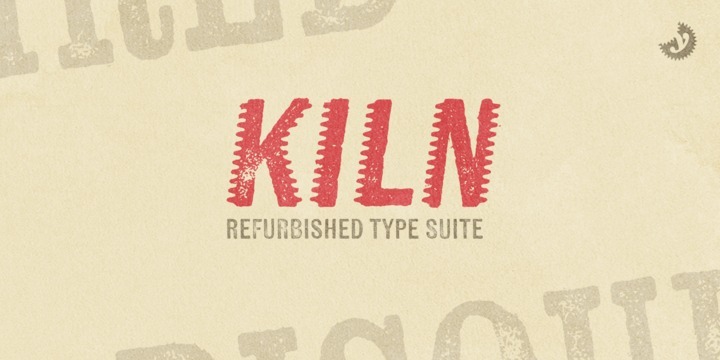 Kiln is a sans serif typeface created by Ryan Martinson and published by Yellow Design Studio which is available in 2 widths (Sans & Serif) each with 3 weights (Regular, Spiked, Shadow) and italics. With a vintage look it contains two texture options for every letter and automatic double letter ligatures (for added realism). Also it has language support. Have fun! A font description published on Wednesday, June 8th, 2016 in Fonts, Ryan Martinson, Yellow Design Studio by Alexandra that has 2,438 views.